Seven Stories Press, 9781583225813, 128pp. With her characteristic brilliance, grace and radical audacity, Angela Y. Davis has put the case for the latest abolition movement in American life: the abolition of the prison. As she quite correctly notes, American life is replete with abolition movements, and when they were engaged in these struggles, their chances of success seemed almost unthinkable. For generations of Americans, the abolition of slavery was sheerest illusion. Similarly,the entrenched system of racial segregation seemed to last forever, and generations lived in the midst of the practice, with few predicting its passage from custom. The brutal, exploitative (dare one say lucrative?) convict-lease system that succeeded formal slavery reaped millions to southern jurisdictions (and untold miseries for tens of thousands of men, and women). Few predicted its passing from the American penal landscape. Davis expertly argues how social movements transformed these social, political and cultural institutions, and made such practices untenable. 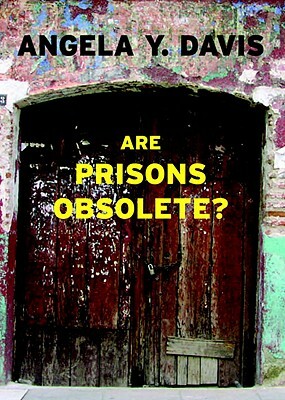 In Are Prisons Obsolete?, Professor Davis seeks to illustrate that the time for the prison is approaching an end. She argues forthrightly for "decarceration", and argues for the transformation of the society as a whole.